Looking to elevate your business to the next level? Let’s consider one of the most newsworthy success stories of the last year. During the 2015/16 Premier League football season, title no hopers Leicester City overcame 5000/1 odds to win one of the most prestigious sporting trophies in the world. As a season ticket holder. my eldest son and I still wake up with huge smiles each day, inspired by our teams meteoric rise. Such has been the waves from that success that while working in Kenya recently, I met two Masai warriors eager to understand ‘how did Leicester do it’? 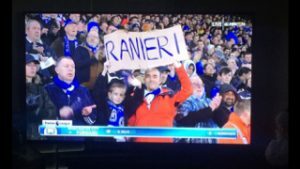 So what can we learn from Leicester City? 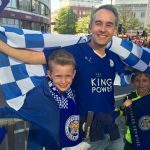 Behind the veneer of Leicester’s goal to stay in the Premier League was a clear and highly engaging vision amongst the owners, management and team to one day top the Premier League. Clarity about where you are heading is essential. Otherwise how will you or your people know where you are going? The fascinating thing with Leicester is that they did not appear to think that they would win in one year. Sometimes though focusing on brilliant performance in the next game (or the next day) can lead to exponential performance. Leicester’s Thai owners instilled a calm, engaging and high performing culture. When relegation looked inevitable in 2014/15 they even invited a renowned Buddhist monk and his team from Thailand to bring reflection and calmness to the club. They taught meditation and blessed the entire building (excluding the away teams changing room)! Incredibly, they then began to win!! With manager Claudio Ranieri’s charismatic ability to take pressure off his players by managing media expectations, a space was created for exceptional calm headed performance on and off the pitch. Their engaging leaders engaged did what they felt was necessary to achieve the results. Of course growth cannot be delivered without quality team players. Attract and develop great talent and give them the direction, freedom and inspiration to perform. Create an environment such that when opportunity’s to leave occur, your people would rather stay with you! Teams need to not only be engaged on the pitch but those who work out of the limelight. It was fascinating at Leicester though that team who manage the quality of the pitch for every game won the award for the best pitch of the season. Building firm operational foundations in your business is essential. Once you grow those foundations enable effective operations including great customer experience. So think ahead to get ahead. With the rapid growth of interest in Leicester City sometimes the old systems creaked such as phone line cues to buy tickets. However, investment was ploughed to keep upgrading the experience. Sales and cash flow are critical. Marketing quality products and services creatively leads to streams of happy purchasers. Oh how money has flowed from my wallet due to creative marketing, product delivery and team performance as my family have been swept up in the clubs success. The away of products that have been created and the speed in which they have been delivered has been astonishing. 6. The Power To Get Things Done – At Leicester City’s stadium , the ‘King Power’ they know how to get things done. After ‘The Power To Get Things Done (Whether You Feel Like It Or Not) was published I could not help but think that a sequel could be ‘The King Power Way To Get Things Done’. Engaging vision and strategy has to be continuously transformed into action and this has occurred with great professionalism week in week out. Chris Cooper is the founder of Chris Cooper, Business Elevation, co-author of The Power To Get Things Done (Whether You Feel Like It Or Not) (Penguin Random House USA) and for 5 years host of The Business Elevation Show on Voice America.